Reserved for it - 15 ml Marita Parfum A striking and contemporary essence that combines notes ranging from pink pepper, nutmeg, amber and subtle coffee touch. ou 3x s/ juros de R$ 52,67 no cartão. ou 3x s/ juros de R$ 307,81 no cartão. 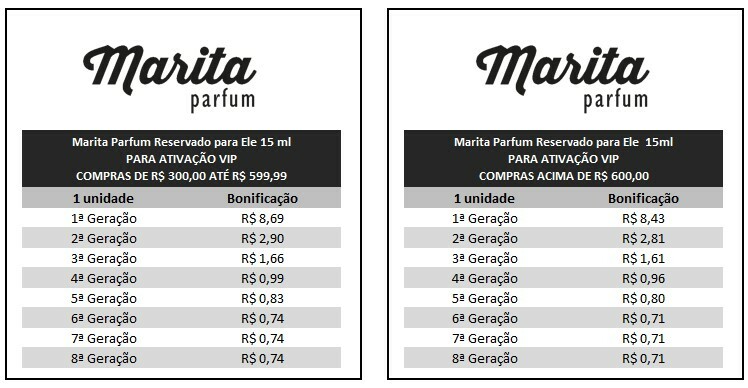 ou 3x s/ juros de R$ 170,72 no cartão. ou 3x s/ juros de R$ 312,99 no cartão. Dressed in black, it refers to elegance and mystery expressing the daring of combinations of essences. 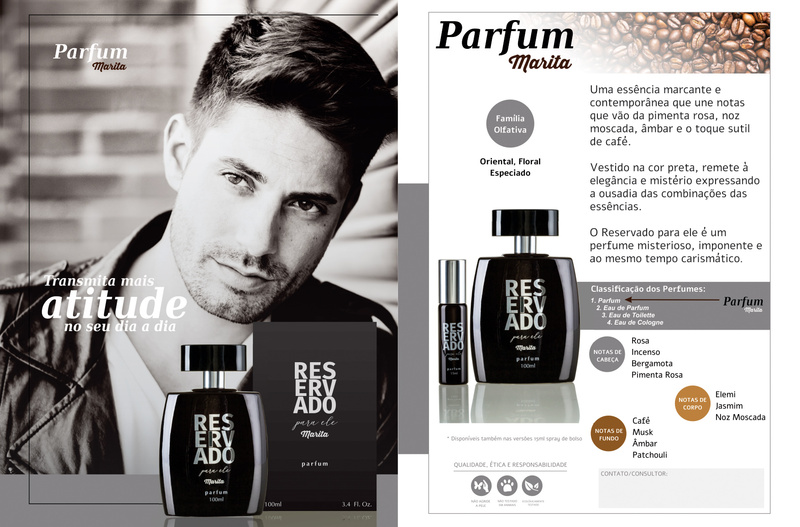 The reserved for him is a mysterious, imposing and at the same time charismatic perfume.